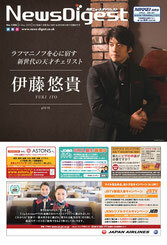 Yuki Ito has a great interest in delivering the joy of music to the audience as conductor. He founded the Knightsbridge Philharmonic Orchestra in 2013 (formerly known as In Tune Orchestra), and made his first appearance as conductor with at 'Yuki Ito & Friends' concert in London in March that year. Since then he has taken the orchestra to major venues in London including St Martin in the Fields and St James's Piccadilly, play-directing cello concertos himself, conducting symphonies and collaborating with such distinguished artists as Julian Lloyd Webber and Natalia Lomeiko as solist. 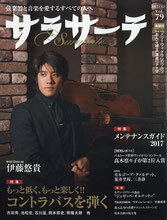 In July 2013 he was invited as guest conductor to lead the Toho Gakuen-Tokyo Garden Orchestra, that consists of the best students of Tokyo's major conservatoires, and made his Tokyo Opera City début with them. In September 2015 he conducted Kaposoka Symphony Orchestra in Angola, and will lead them in their Japan tour in May 2016 in collaboration with Suzuki Method and El Sistema Japan. The Knightsbridge Philharmonic Orchestra aspires to entertain the audience and intimately connect them with the musicians. This is achieved through performances of the highest calibre delivered by impassioned young professionals and star students from London's major conservatoires, and careful selection of the programme - the Knightsbridge Philharmonic Orchestra inspires every generation of classical music lovers. New Album "The Romantic" Now On Sale! "Rachmaninov Complete Cello Works" On Sale Worldwide! The Strad Magazine's "Recommended Disc"